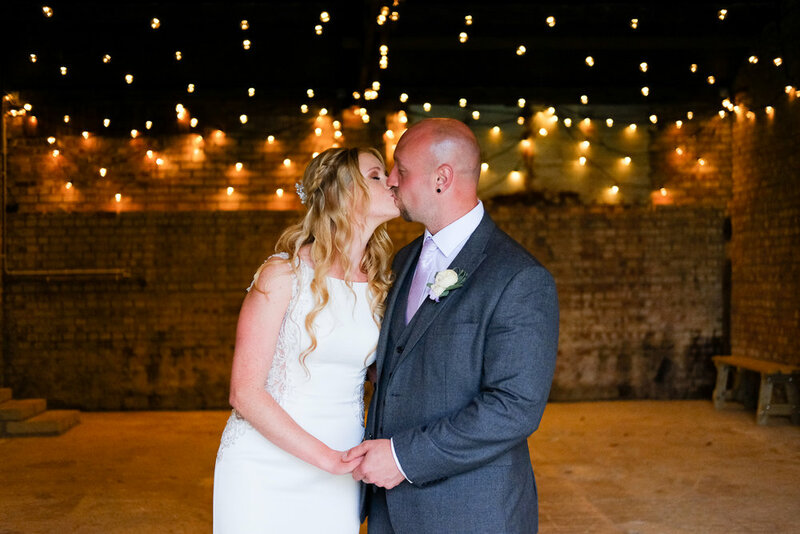 I first heard about Emma and Gareth when I received a message from my good friends Kathie and Wayne at Lawrence Videography. A message telling me that they had recommended me to a wonderful couple who had just booked them after meeting them at a wedding fair. 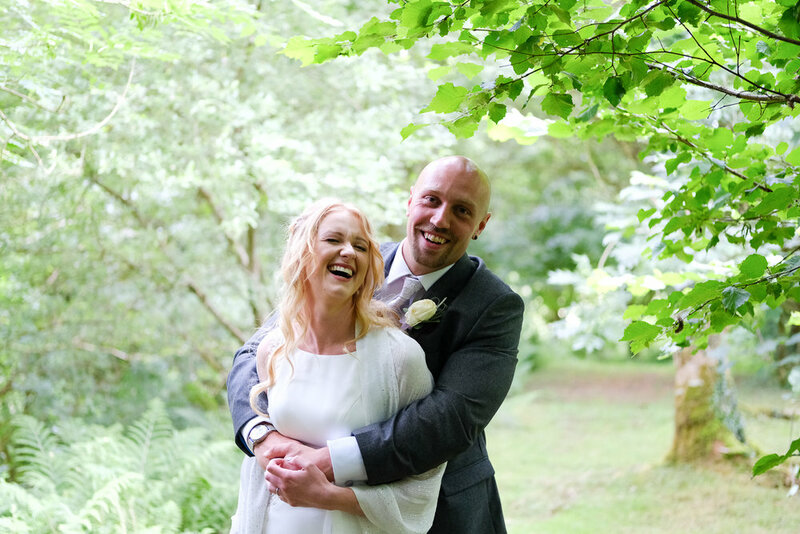 Kathie and Wayne described Emma and Gareth's fun, laid back personalities along with their plans for their wedding at The Green in Cornwall as "right up my street"
They were not wrong. As soon as I met Emma and Gareth (and their amazing little girl Kyla), I knew that this couple, this family are absolutely awesome and their wedding day would be too! Their personalities and wedding were a perfect match for my style and I am so excited to share some of the photos from their day below. All within the grounds of The Green Cornwall. This venue really is stunning. As you will see from the photos, and I absolutely love how everything during the day is within a very short walk. From the House and cottages where you stay the night before, to the barn for the ceremony, to the bigger barn for the reception, the rustic barn is an option too, the lawn and arbour, kids play park and even the lake. You never have to go to far to get somewhere amazing and full of potential for epic photographs. I'd love to hear your story of how you met and got to this awesome stage in your lives? We met as teenagers in a Tescos car park (very classy), we used to sit for hours on Epsom Downs talking and enjoying each others company. Our love for food and cars was a joint passion from day one. A few years later we moved in together, and in Feb 2012 we welcomed our beautiful daughter Kyla into the world. We then moved to Cornwall to continue our adventure together as a family of 3. In Nov 2016 Gareth got down on one knee and popped the question. And here we are now, some 10 years lates as newly weds. 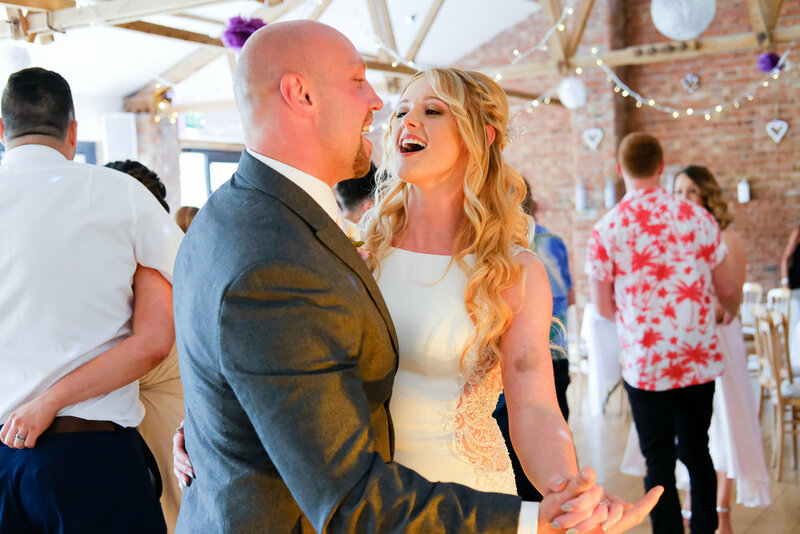 A new chapter to our lives as best friends, soul mates, Mr and Mrs.
What was your favourite part of your wedding at The Green, Cornwall? Gareths favourite part was seeing Kyla walking down the aisle. My favourite part was the first dance. Deep down I know we both loved the fantastic food most of all! Shhhh!! 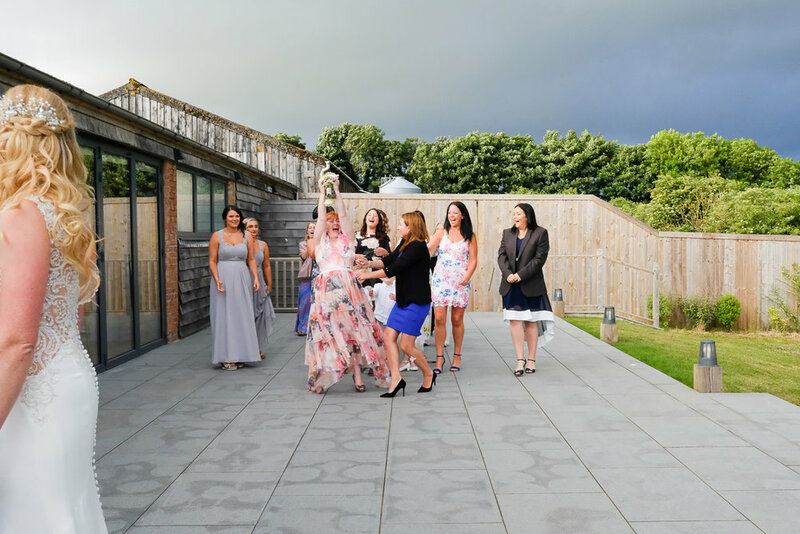 What made you choose The Green Cornwall as your venue for your wedding? As soon as we arrived at The Green we both looked at each other and said "This is the one". It was just so perfect and the atmosphere was so peaceful and relaxed. Freesias were my Grandmas favourite flower, I was very close with her before she passed away so that was a must have in her honour. The colour theme of lilac and pastel grey was nice and summery. The personal touch of crafting the decorations etc myself was to make our day unique to us. Dont get stressed, life is to short ... embtace it! Only have people at your wedding that mean something to the two of you, dont just invite for numbers! We had a 3 course sit down meal - Beef or Salmon for the main course were both to die for. Food was 10/10 at The Green! I walked down the aisle to Marry Me by Train, sang by the lovely Sam De La Haye. Such an amazing voice! We had a DJ for the evening reception, Gareth was very pleased that Abba was NOT played during the evening no matter how many times it was requested! Fab night! We wanted a photographer who could capture the true smiles on our guests faces. Jamie you are a natural! Our guests loved you and you worked fantastically with the videographers!! I hope you captured Gareth blubbering ... this is a rare sight and one we wont be forgetting in a hurry. The "mans man" has a heart of gold! Our day was so perfect ... Kate from The Green made sure the day ran smoothly. The control freak in me was lost for the day as I had nothing to fuss about! Best day of our lives! A Shoutout to the wedding suppliers that helped make your day so awesome! This is a dream team so please do click on the links and check them out if you are planning your wedding. If you are planning a wedding at The Green Cornwall or any other wonderful location then I'd love to hear from you! I'll treat you to a nice cup of tea and we will talk all things weddingy.